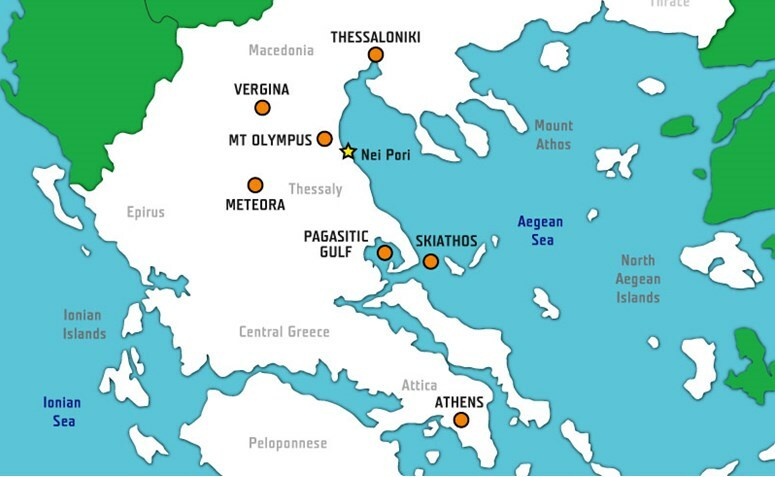 Οlympus Εducation is based in Nei Pori in the subregion of Pieria, a coastal town at the foot of Mount Olympus, in the immediate vicinity of the tourist resort of Platamonas. Most of the hotels chosen by us for the stay of participants of our educational programmes, just like our selected partners (educational institutions and private companies) that participate in our programs, are located on the Aegean coast, in the regions of Macedonia and Thessaly. as well as the famous Greek islands – Skiathos, Alonissos and Skopelos. By road | Through the national road Ε75 Athens-Thessaloniki. Nei Pori village is just 5 minutes from the national road Ε75.